After years on working on RE2C to make it stable and ready to replace flex-based scanners, work on replacing PHP's flex-based scanner with a RE2C-based one has begun. Actually the work was started by Nuno Lopes and Scott MacVicar on 14th of February 2008, after I happily informed them that I considered RE2C ready for this task. I joined the work a day later, contributed a few ideas and helped with minor RE2C improvements. Today on the 15th of February we can already run make test and get over 98% PASS. This encouraged me to spend a bit more time on RE2C and release 0.13.2, which you can download here (sorry but it is on sourceforge). Thanks to Scott, we also have a subversion and Trac setup here, where you can follow our development. If you want to experiment yourself, or even help in our efforts, then you can checkout from svn://whisky.macvicar.net/php-re2c. 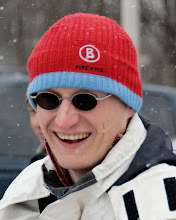 Marcus Börger is a specialist in C, C++, databases, UML, XML, and of course PHP. To the PHP community, he is also known as helly. As a core developer, he contributes a lot to PHP and focuses on the new OO features of PHP 5 and Zend Engine 2. Marcus has been hacking around on all sorts of things for over 15 years, and being an avid snowboarder, he happily accepted an offer from Google to work in their Zürich office. He can often be found snatching gummy bears from his favorite Italian pizzeria and taking photographs.